Written by james on 31 Oct 2013 in Boat Systems. Last update on 5 Nov 2016 . 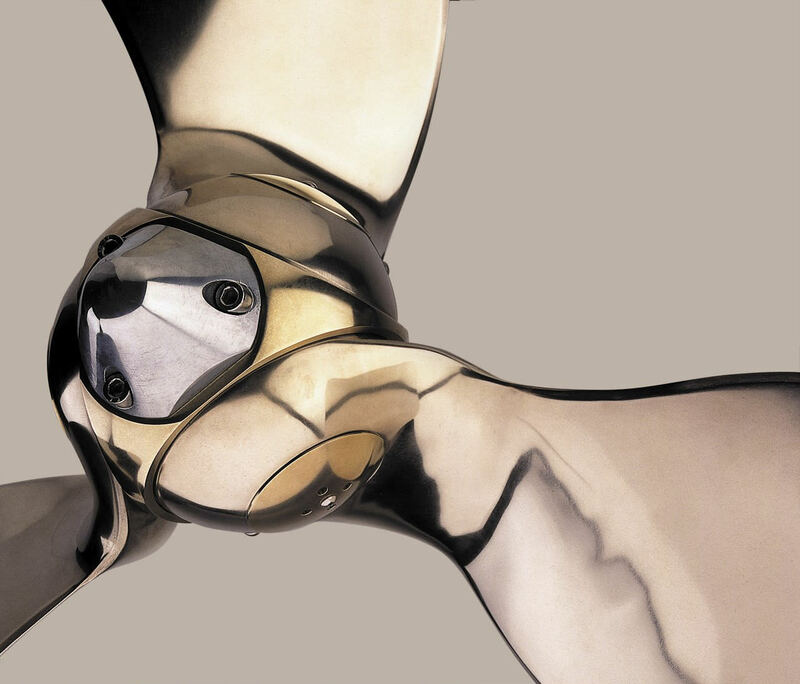 As manufacturer Southerly offers either a standard fixed 3 blade prop, or an option to upgrade to a feathering [Max-Prop](http://www.max-prop.com). As a semi-custom built yacht there is of course the further option to request something to your own specification. On our previous boat (Hanse 400) we'd upgraded from a fixed two blade prop to a [Brunton's Autoprop](http://www.bruntons-propellers.com/Autoprop/Autoprophome.htm) and been delighted with the results. Drag whilst sailing hadn't been too bad with the original prop, but motoring wasn't too good either. The Autoprop gave better motoring performance especially in reverse with very little prop walk. Where it was outstanding was when motor sailing. With the fixed prop, if there was enough wind to sail at say 4 knots, then to increase the speed by motor sailing required running the engine at high revs. Overall our performance was as if we were motoring even when motor sailing. The variable pitch of the Autoprop meant that even running the engine at lower revs, say 1800rpm, enabled it to give a lift to the sailing performance and add a knot or two whilst motor sailing. On just about our first outing with the new prop we were heading to the West Country from Portsmouth. 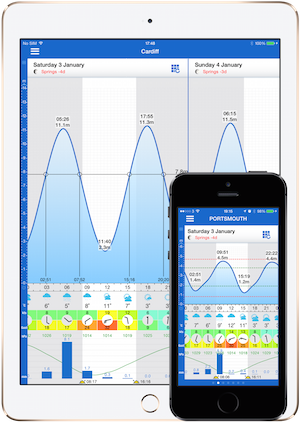 We left Portsmouth with favourable wind and tide at midday. During the passage the wind sometimes fell and we motor-sailed to make the tidal gates. We never exceeded 2,000 rpm and reached Plymouth at 4am the following morning. Engine revs are an interesting criteria. On the one hand marine diesels do like to be worked fairly hard, and too much idling with no load can result in carbon build up on the cylinders and fuel injectors. However in this scenario we are applying a load and at 2000 rpm not only is the noise level much more acceptable, but the fuel consumption is significantly less. Yanmar's Fuel Consumption data sheet for the 4JH5E shows consumption doubling from 3 l/hr at 1800 rpm to 6 l/hr at 2500 rpm. This curves may not be directly applicable for our exact setup, but I think its fair to expect a fuel saving if we can maintain the same speed at lower revs. Southerly offer the Max-Prop, and so we would perhaps be fools not to expect that with all their experience they rate this for their boats. * significantly more drag when sailing, even if the prop shaft is left to spin in neutral. * poor performance in reverse. * Significantly less drag when sailing than a fixed prop, but marginally more than the Max-Prop. For pure sailing performance, I think that Southerly has the right decision. I'd sum up the above to say that I'd expect the Max-Prop is marginally better for sailing, whereas the Autoprop is significantly better for motor-sailing. We'll be setting out to go sailing and not motor-sailing, and it'd be nice to think that we'd go with the wind and take our time. On an ocean passage that clearly would to be the case. In a non tidal sea then I think that would too often be the case. However we live in the UK, and next year we're planning to circumnavigate the UK. We can't afford to ignore the tides, as a difference of a knot or two in speed can add hours to a passage, and that can then mean missing the opportunity to enter a harbour safely. It's a very common theme from past circumnavigators that they've motored or motor sailed far more than they expected to. An interesting commercial outcome was that the list price for the option to the Max-Prop from Southerly was similar to the list price for an Autoprop so both had a similar price to us before negotiating discounts although Southerly had offered a generous discount on the Max-Prop. So we've decided to go for the Autoprop again. We'd need to buy and fit the Autoprop ourselves, whereas Southerly would factory fit the Max-Prop. However following that independent route will mean that we'll end up with *both* the Autoprop fitted with the fixed blade as a spare. This is an added bonus that partly offsets the pain of the additional cost. It also means that I hope to have the opportunity to run a brief trial of the fixed blade before switching over - so will be able to post my experiences.